You and I - White Gold was added to your cart. This gorgeous pendant features two ovals, each filled with Round Brilliant cut diamond simulants. The inner oval is lined with 18 accents, while the outer oval sparkles with 29 accents for a fiery show wherever you go. 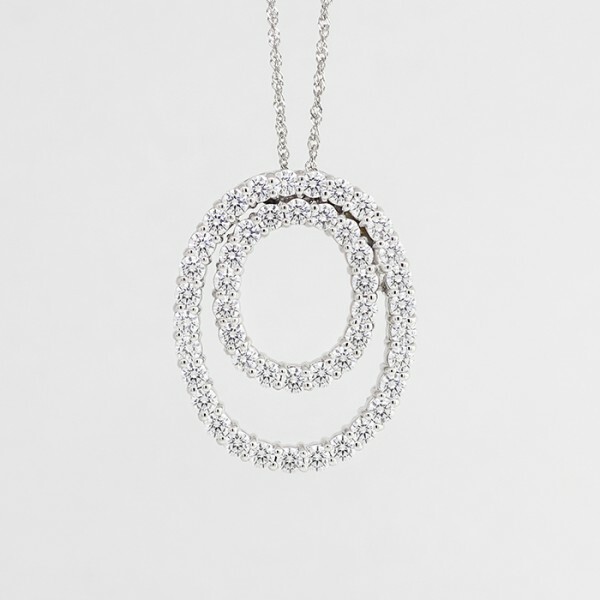 This dramatic pendant is an astounding 4.70 total carats.